Pope Pius XI, born Ambrogio Damiano Achille Ratti (May 31, 1857 – February 10, 1939), reigned as Pope from February 6, 1922 and sovereign of Vatican City from 1929 until February 10, 1939. He issued the encyclical Quas Primas establishing the feast of Christ the King, and took as his papal motto "Christ's peace in Christ's kingdom." This indicates the central idea of his pontificate: that the Catholic religion must permeate all areas of human living: the home, the city, politics, economics, art etc. Rather than allowing religious belief to be reduced to a merely private matter, or withdrawing the Church from involvement in the outer world, Pius XI thought Catholics must work to create a truly Catholic society: Christ must be king over every aspect of life. Achille Ratti was born in Desio, Province of Milan in 1857, the son of the prosperous owner of a silk factory. He was ordained as a priest in 1879 and embarked on academic career within the Church. He obtained three doctorates (in philosophy, canon law and theology) at the Gregorian University in Rome, and then from 1882 to 1888 was a professor at the seminary in Padua. His great scholarly speciality was as an expert paleographer, a student of ancient and medieval Church manuscripts. This led him leave seminary teaching to work full time at the Ambrosian Library (the Biblioteca Ambrosiana) in Milan, where he remained from 1888 to 1911. During this time, he edited and published a scholarly edition of the Ambrosian Missal (the rite of Mass used in Milan), and researched and wrote much on the life and works of St. Charles Borromeo, as well as writing many other books and articles on his manuscript studies. He became chief of the Library in 1907, and undertook an impressively thorough programme of restoration and re-classification of the Ambrosian's collection. The scholar was also an avid mountaineer in his spare time, reaching the summits of Monte Rosa, the Matterhorn, and Mont Blanc. In 1911, at Pope Pius X's invitation, he moved to the Vatican to become Vice-Prefect of the Vatican Library, and in 1914 was promoted to Prefect. Ratti's career took a sharp turn in 1918. His years of study had left him with a gift for langauges, inspiring Pope Benedict XV to ask him to leave the Library and take on a vital diplomatic post: apostolic visitor, (that is, papal representative), in Poland, a state newly restored to existence, but at that time still under effective German and Austro-Hungarian control. The Central Powers' defeat, however, saw Poland become fully independent, though it was immediately threatened by the Soviets. Ratti performed his diplomatic work in this difficult environment well, was given a higher rank as papal nuncio, and was consecrated as a titular archbishop in October 1919. He showed personal courage, refusing to flee from Warsaw when the Red Army was approaching it in August 1920. In June 1921 Ratti was recalled to Italy to become Archbishop of Milan. Benedict XV made him a Cardinal at the same time. His had been a fast rise in the world of practical Church affairs after his long years of scholarship. But even greater was to come very soon indeed. In January 1922 Benedict XV died. 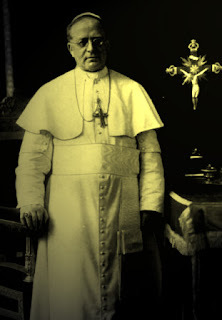 At the ensuing conclave, Ratti was elected Pope on February 6th as a compromise candidate in the fourteenth ballot, taking the name Pius XI. His first act was to revive the traditional public blessing given from the balcony 'urbi et orbi', 'to the city and to the world'. His immediate predecessors had refused to do so ever since the loss of Rome from papal hands to the Italian state in 1870. It was an indicator of what was to come - a Pope and a Church determined to influence powerfully the broader world rather than to withdraw from it. Pius's first encyclical as as pope was directly related to his aim of Christianising all aspects of increasingly secular societies. Ubi arcano, promulgated in December 1922, inaugurated the "Catholic Action" movement. The idea was to involve lay men and women in an organisation, under the close supervision of the bishops, actively involved in spreading Catholic values and political ideas throughout society. Pius also gave his approval to specialised movements like the Jocists, associations of young Catholic industrial workers who aimed to Christianise the workforce, and provide a Catholic alternative to Communist and socialist trade unions. Similar goals were in evidence in his encyclical Divini illus magistri (1929), making clear the need for Christian over secular education, and Casti Connubii (1930), praising Christian marriage and family life as the basis for any good society, and condemning contraception. Pius also argued for a reconstruction of economic and political life on the basis of religious values. His most well-remembered encyclical today is probably on this subject: Quadragesimo Anno (1931). As indicated by its title, it was written to mark 'forty years' since Leo XIII's great social/economic encyclical Rerum novarum, and restated that encyclical's distaste for both socialism and unrestrained capitalism. Pius instead envisioned a truly Christian economy based on co-operation and charity. He reaffirmed the natural right to private property, but emphasised it must be used with Christian charity. He also endorsed workers' rights to organise, though preferably in purely Catholic organisations under the direction of the local bishop. 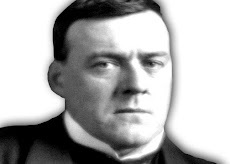 In place of either pure capitalist individualism or socialist statism he endorsed subsidiarity: small-scale, voluntary organisations (the local Church, trade union or club), local communities, and of course the family were the fundamental units of society, and were best equipped to help the needy. In a truly Christian society, employer and employee should both put aside selfishness and do their Christian duty to each other: the worker should work hard for his employer, and the employer should pay a fair wage on which a man could decently support a family. Pius was the first Pope to utilise the power of modern communications technology in evangelising the wider world. He established Vatican Radio in 1931, and was the first Pope to broadcast on radio. In his management of the Church's internal affairs Pius mostly continued the policies of his predecessor. Like Benedict XV, he put a great emphasis on spreading Catholicism in Africa and Asia and on the training of native clergy in these "mission territories". He ordered every religious order to devote some of its personnel and resources to missionary work. Pius XI also continued Benedict XV's moderate-conservative approach on the issue of how to deal with the threat of modernism in Catholic theology. Pius was thoroughly orthodox theologically and had no sympathy with modernist ideas that relativised fundamental Catholic dogmas. He condemned modernism in his writings and addresses. At the same time, as a scholar himself he was aware of the danger of accusations of 'modernism' being used to tar unjustly academic work which was in fact compatible with orthodoxy and not truly modernist, and quietly discouraged such an approach. Pius was interested in supporting serious scientific study within the Church, establishing the Pontifical Academy for the Sciences in 1936. Pius strongly encouraged devotion to the Sacred Heart in his encyclical Miserentissimus Redemptor(1928). He canonised some important saints: Bernadette Soubirous, Therese of Lisieux, John Vianney, and John Bosco. He also named several new Doctors of the Church: John of the Cross, Albert the Great, Peter Canisius and Robert Bellarmine. Pius XI was the first Pope to directly address the Christian ecumenical movement. Like Benedict XV he was interested in achieving reunion with the Eastern Orthodox. (Failing that, he determined to give special attention the Eastern Catholic churches). 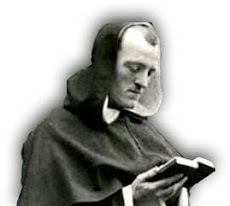 He also allowed the dialogue between Roman Catholics and Anglo-Catholics which had been planned during Benedict XV's pontificate to take place at Malines. However, these enterprises were firmly aimed at actually reuniting with the Roman Catholic Church other Christians who basically agreed with Catholic doctrine, bringing them back under Papal authority. To the broad pan-Protestant ecumenical movement his attitude was very different. 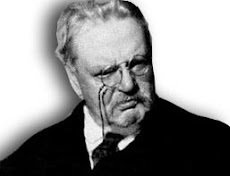 He condemned in his 1928 encyclical Mortalium Animos the idea that Christian unity could be attained by establishing a broad federation of many bodies holding varying doctrines (the widespread view among Protestant ecumenists); rather, the Catholic Church was the one true Church, all her teachings were objectively true, and Christian unity could only be by achieved by Protestants rejoining the Catholic Church and accepting all the Catholic doctrines they had rejected. Catholics were ordered not to attend ecumenical conferences with Protestants. Pius' reign was one of busy diplomatic activity for the Vatican. The Church made advances on several fronts in the 1920s, improving relations with France and, most spectacularly, settling the Roman question with Italy and gaining recognition of an independent Vatican state. However the Church also faced the great difficulty of how to deal with new totalitarian governments, Communist, socialist, fascist and Nazi. France's republican government had long been strongly anti-clerical. The Law of Separation of Church and State in 1905 had expelled most religious orders from France, declared all Church buildings to be government property, and had led to the shutting down of most Church schools. Since that time Benedict XV had sought a rapprochement, but it was not achieved until the reign of Pius XI. In Maximam Gravissimamque (1924) many areas of dispute were tacitly settled and a bearable coexistence made possible. In 1926 Pius condemned Action Francaise, the reactionary monarchist movement which had until this time operated with the support of a great many French Catholics. Pius judged that it was folly for the French Church to continue to tie its fortunes to the unlikely dream of a monarchist restoration, and found the movement's tendency to defend the Catholic religion in merely utilitarian and nationalistic terms, as a vital contributing factor to the greatness and stability of France, unorthodox. Although the condemnation caused great heartache for many French Catholics, most obeyed and Action Francaise never really recovered. Pius aimed to end the long breach between the papacy and the Italian government and to gain recognition once more of the sovereign independence of the Holy See. Most of the Papal States had been seized by the forces of King Victor Emmanuel II of Piedmont in 1860 at the foundation of the modern unified Italian state, and the rest, including Rome, in 1870. Previous popes had refused to accept this and had withdrawn to become 'prisoners of the Vatican'. The Italian government had responded by becoming extremely anti-clerical. Now Pius thought a compromise would be the best solution. To bolster his own new regime, Mussolini was also eager for an agreement. After years of negotiation, in 1929, the pope supervised the signing of the Lateran Treaties with the Italian government. According to the terms of the first treaty, Vatican City was given sovereignty as an enclave of the city of Rome in return for the Vatican relinquishing its claim to the former territories of the Papal States. Pope Pius thus became a head of state (albeit the smallest state in the world), the first pope who could be termed as such since the Papal States fell after the unification of Italy in the 19th century. A second treaty, the concordat with Italy, recognised Roman Catholicism as the official state religion of Italy, gave the Church power over marriage law in Italy (ensuring the illegality of divorce), and restored Catholic religious teaching in all schools. In return, the clergy would not interfere in politics. A third treaty provided financial compensation to the Vatican for the loss of the Papal States. During the reign of Pope Pius XI this money was used for investments in the stock markets and real estate. To manage these investments, the Pope appointed the lay-person Bernadino Nogara, who through shrewd investing in stocks, gold, and futures markets, significantly increased the Catholic Church's financial holdings. However contrary to myth it did not create enormous Vatican wealth. The compensation was relatively modest, and most of the money from investments simply paid for the upkeep of the expensive-to-maintain stock of historic buildings in the Vatican which previously had been maintained through funds raised from the Papal States up until 1870. The signing of the Lateran Treaties was the high point of the Vatican's relationship with Mussolini's government. It deteriorated drastically in the following years as Mussolini's totalitarian ambitions began to impinge more and more on the autonomy of the Church. For example, the church's youth groups were dissolved in 1931 to allow Mussolini's fascist youth groups complete dominance. As a consequence Pius issued the encyclical Non Abbiamo Bisogno in 1931, in which he criticised the idea of a totalitarian state. Relations with Mussolini continued to worsen throughout the remainder of Pius' pontificate. Pius was eager to negotiate concordats with any country that was willing to do so, thinking that written treaties were the best way to protect the Church's rights against governments increasingly inclined to interfere in such matters. Twelve concordats were signed in all in Pius' reign with various types of governments, including some German state governments and with Austria. When Adolf Hitler became Chancellor of Germany in January 1933 and asked for a concordat, Pius was therefore inclined to assume his sincerity and accept. Negotiations were conducted on his behalf by Cardinal Eugenio Pacelli, who later became Pope Pius XII. The Reichskonkordat was signed by Pacelli and by the German government in June 1933, and included guarantees of liberty for the Church, independence for Catholic organisations and youth groups, and religious teaching in schools. Hitler, however, never intended to honour the agreement. He had merely wanted to neutralise potential Church opposition in the vital early months and years of his government to make his establishment of a dictatorship easier. As the years went by, Hitler's totalitarian ambitions, much greater even than Mussolini's, were made clear. The Church was a rival for people's total devotion and therefore would be slowly squeezed out of existence. Clause after clause of the concordat was broken - Catholic youth groups were abolished and all youth were forced into the Hitler Youth; religious education in schools was cut back and finally abolished; show trials of priests were held to discredit the clergy; vandalism of churches by Hitler Youth members was tacitly encouraged; seminaries were interfered with and closed. Pius XI responded by issuing in 1937 the encyclical Mit Brennender Sorge condemning the Nazi ideology of racism and totalitarianism and Nazi violations of the concordat. Copies had to be smuggled into Germany so they could be read from the pulpit. "Mark well that in the Catholic Mass, Abraham is our Patriarch and forefather. Anti-Semitism is incompatible with the lofty thought which that fact expresses. It is a movement with which we Christians can have nothing to do. No, no, I say to you it is impossible for a Christian to take part in anti-Semitism. It is inadmissible. Through Christ and in Christ we are the spiritual progeny of Abraham. Spiritually, we [Christians] are all Semites." These comments were subsequently published worldwide. Pius watched with horror the unceasing Communist persecution of Christianity in the Soviet Union, which was beyond that seen anywhere else. He made clear the Church's total philosophical opposition to Communism as inherently atheistic and totalitarian. Nevertheless, he made repeated attempts to get the Soviet Government to soften its attitude. (Stalin's contemptuous reply was "The Pope - how many divisions has he got? ", and the persecution continued unabated). In 1937 he issued his encyclical Divini Redemptoris which was a scathing condemnation of Communism and the Soviet regime as "intrinsically perverse." The socialist government of Mexico in the 1930s embarked on severe anti-clerical measures. In the state of Tabasco the Church was in effect outlawed altogether. Pius condemned the Mexican government in his 1933 encyclical Acerba Anima. By the end of his reign the situation had improved somewhat. The republican government which had come to power in Spain in 1931 was also strongly anti-clerical, secularising education, expelling the Jesuits from the country, and allowing mobs to burn down churches without any attempt to stop them. This encouraged Catholics to support the military coup against the Republican government in 1936 led by General Francisco Franco. The Republicans responded by murdering many thousands of priests and nuns, and as time passed the Republican government became dominated more and more by Communists. It was therefore unsurprising that Pius gave fairly unequivocal support to Franco and the Nationalist forces in the Spanish Civil War of 1936-39. Pius distinguished Franco from the totalitarian, anti-religious fascists like Hitler and Mussolini (whom he by this stage basically opposed), seeing him as an old-fashioned authoritarian Catholic conservative. In any case, Pius concluded a Nationalist victory was necessary if the Church was to survive in Spain at all. Pope Pius XI was buried in the crypt at st. Peter's Basilica, in the main chapel, close to the tomb of St. Peter.